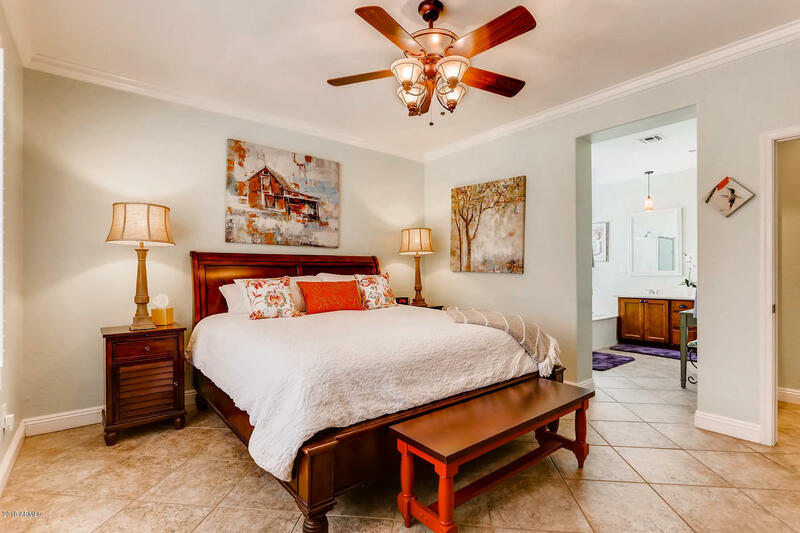 Winter Visitors dream! 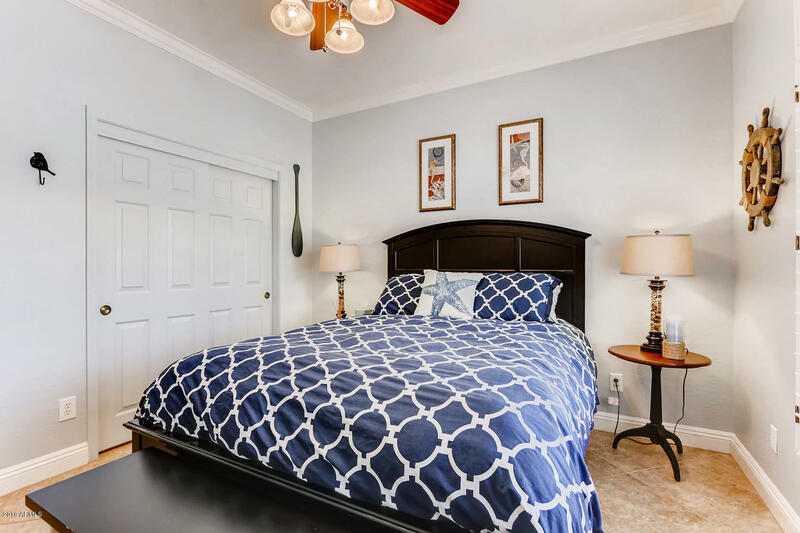 Walking distance to Persimmons Country Club! 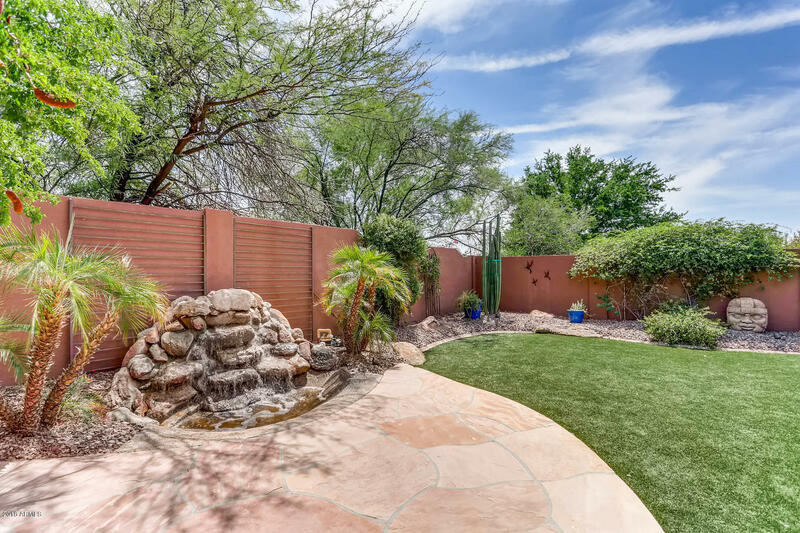 Enjoy the privacy and serenity of the your own backyard with a beautiful cascading waterfall. 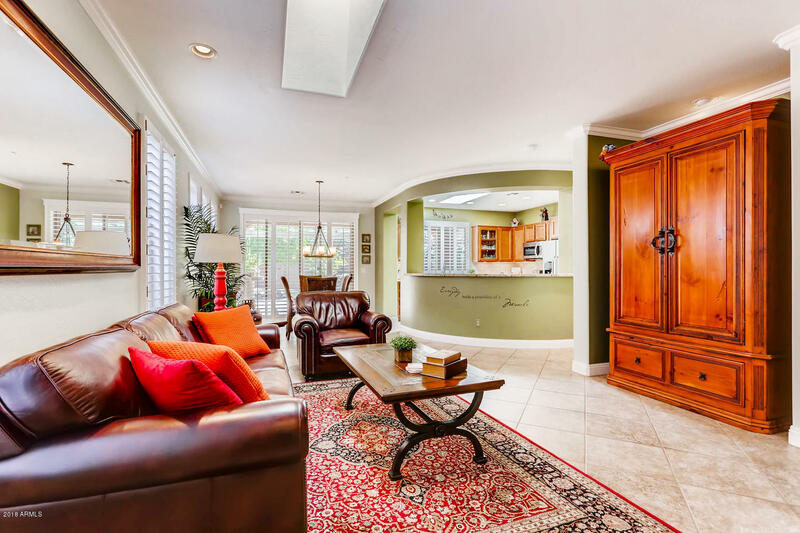 Perfect for entertainers with a built in island-style bar and a phenominal outdoor fireplace. 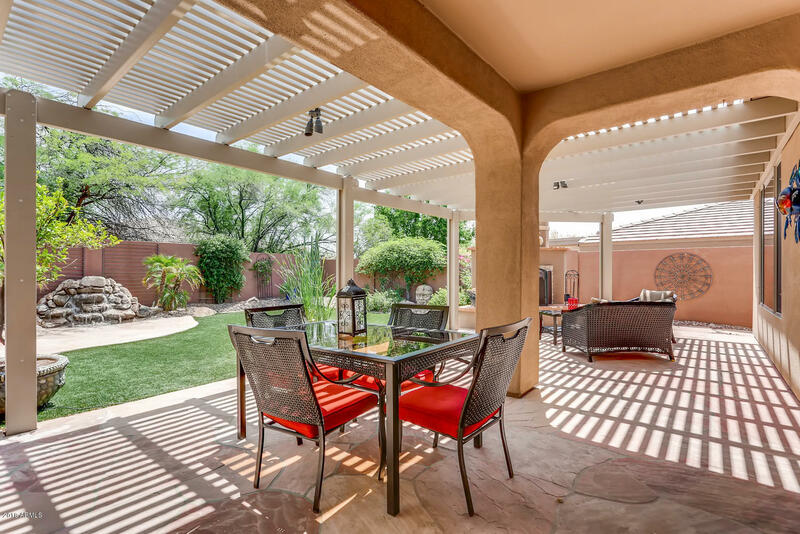 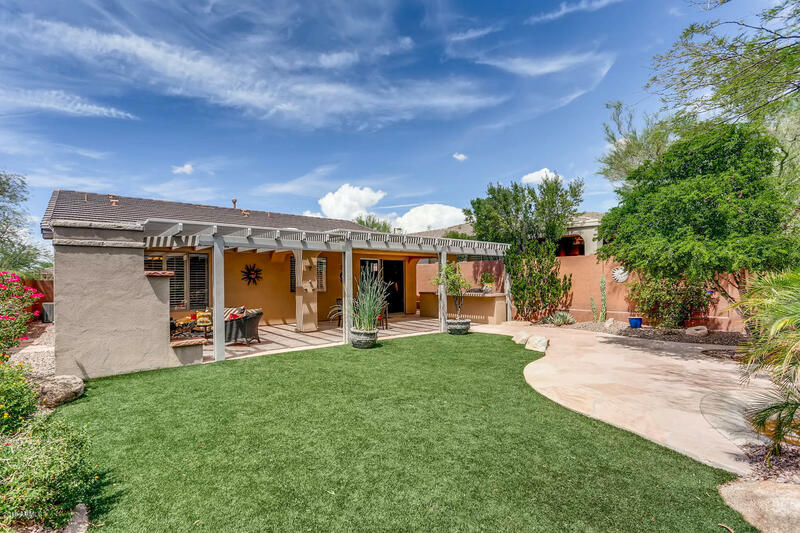 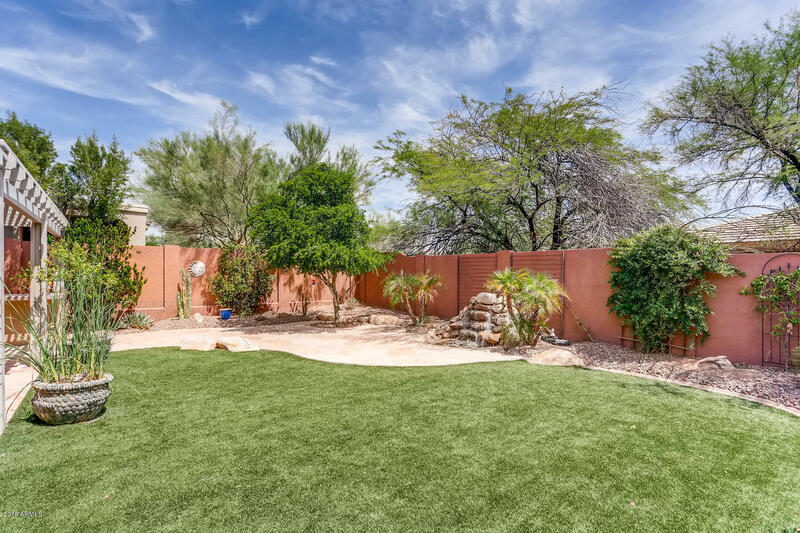 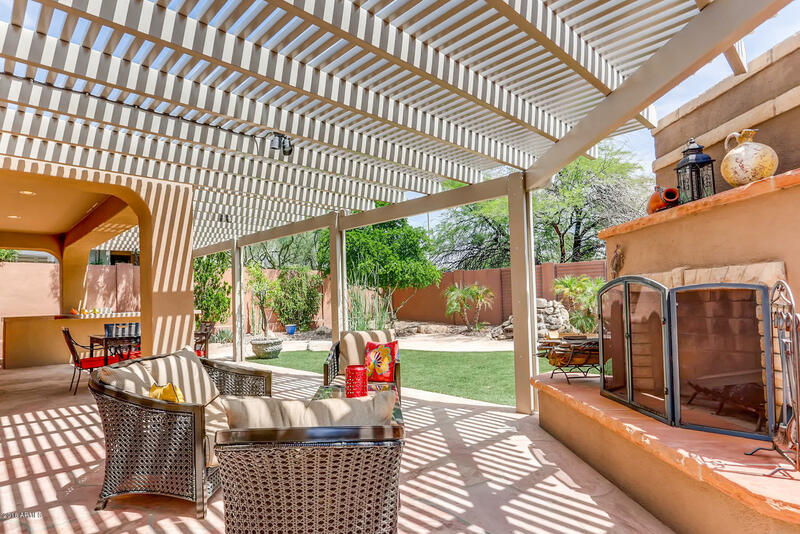 Very low maintenance synthetic lawn, automatic drip system for the plants, and a beautiful extended flagstone patio...truly a wonderful backyard! 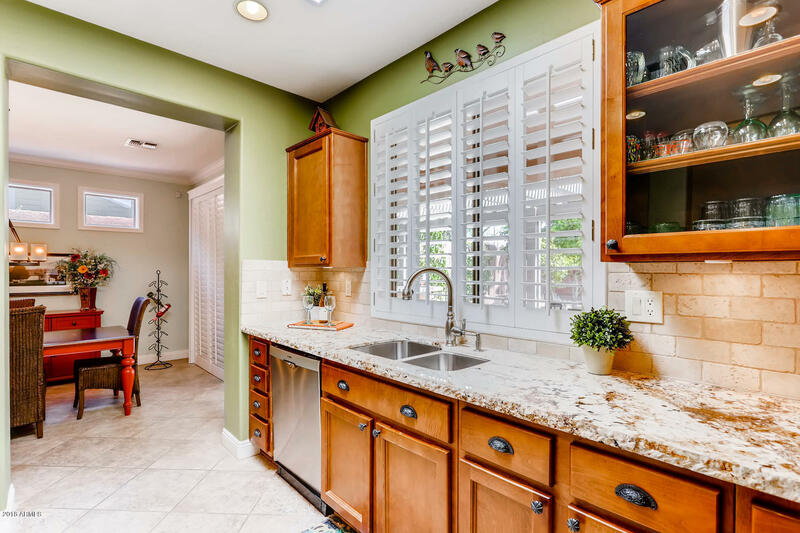 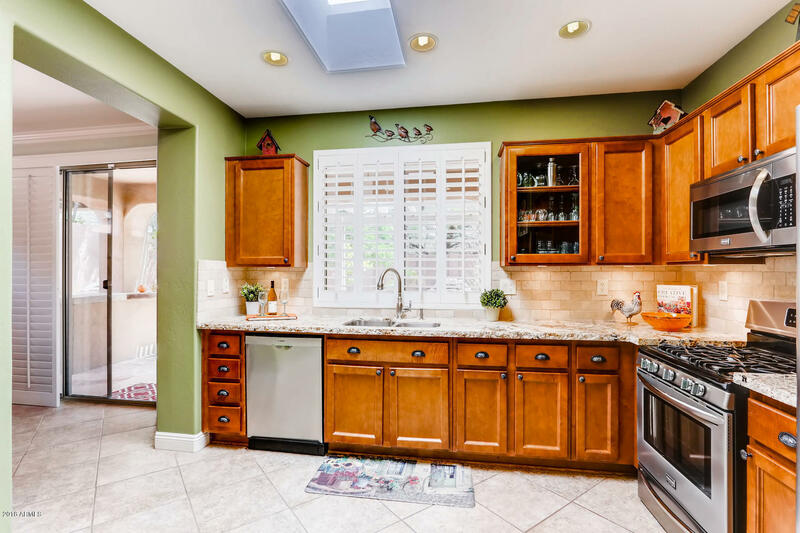 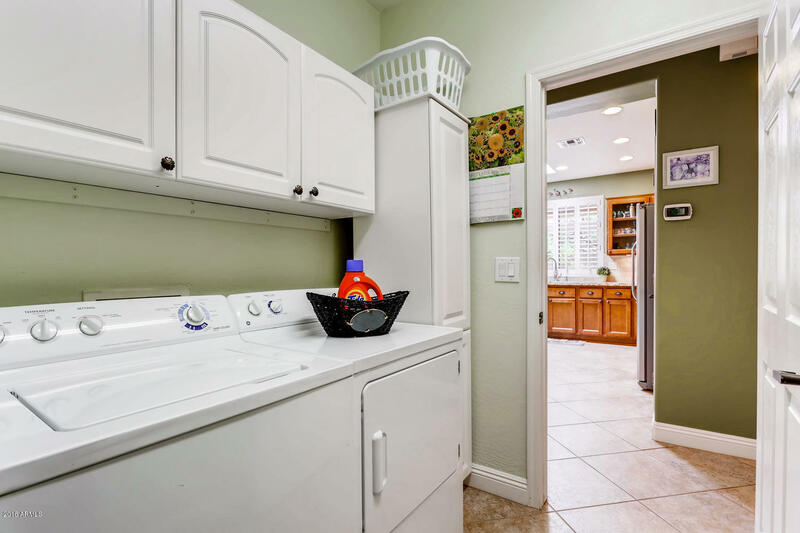 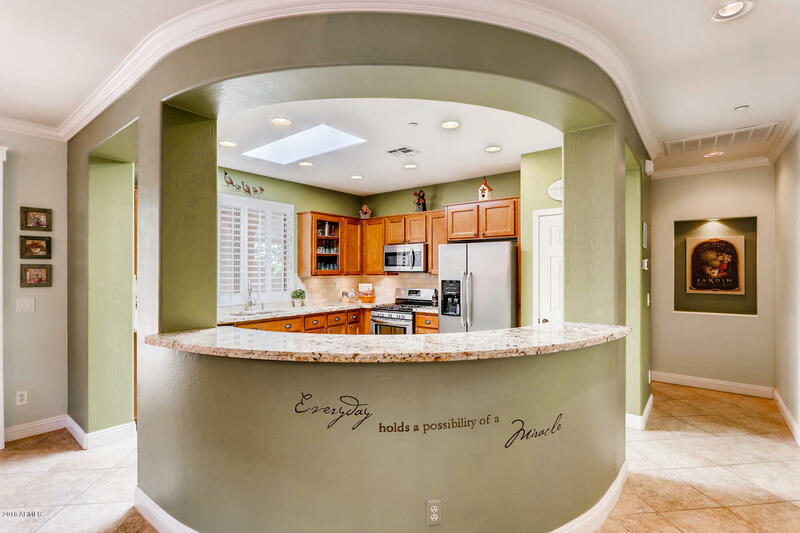 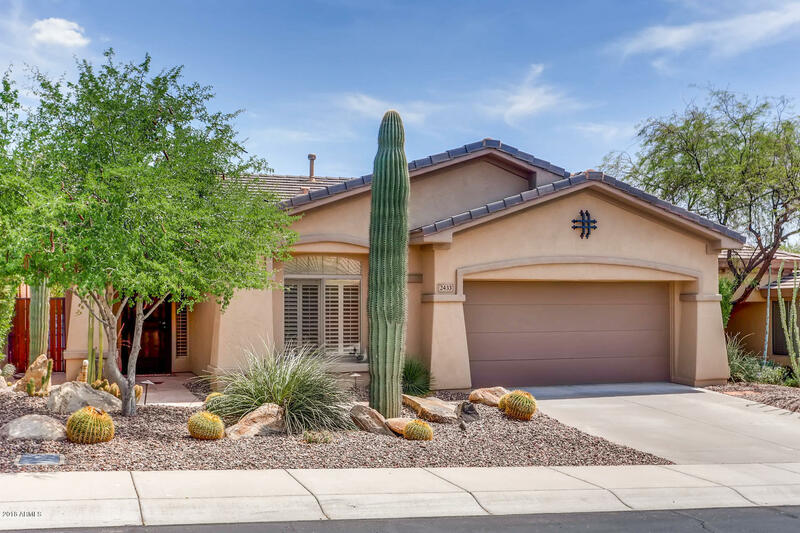 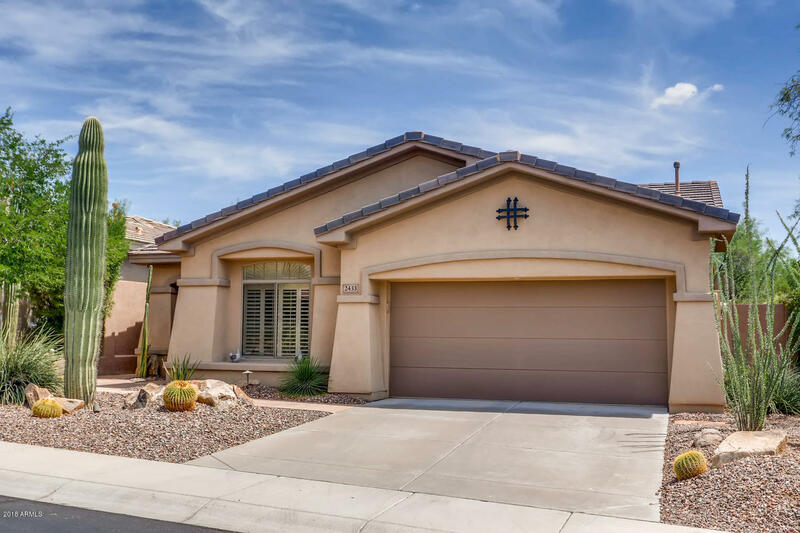 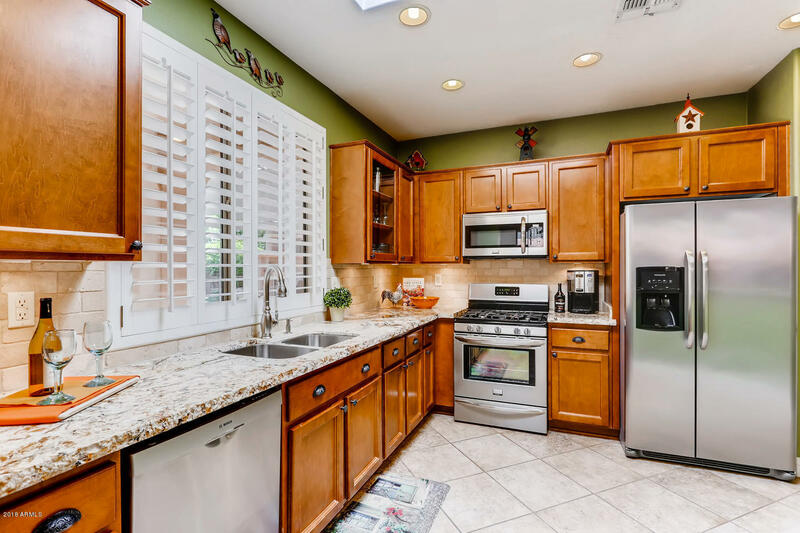 In the kitchen you will love the upgraded cabinetry, under and over cabinet lighting, gorgeous granite countertops, a pony wall/bar, new stainless appliances, and a new Bosch dishwasher. 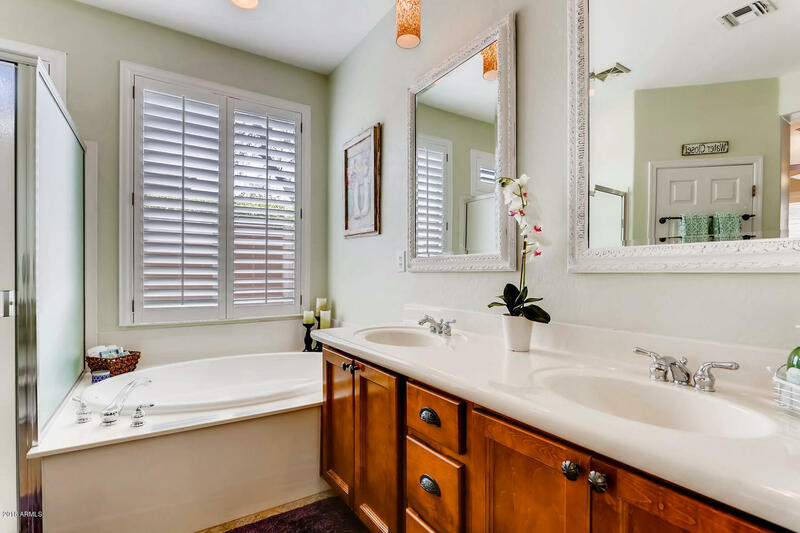 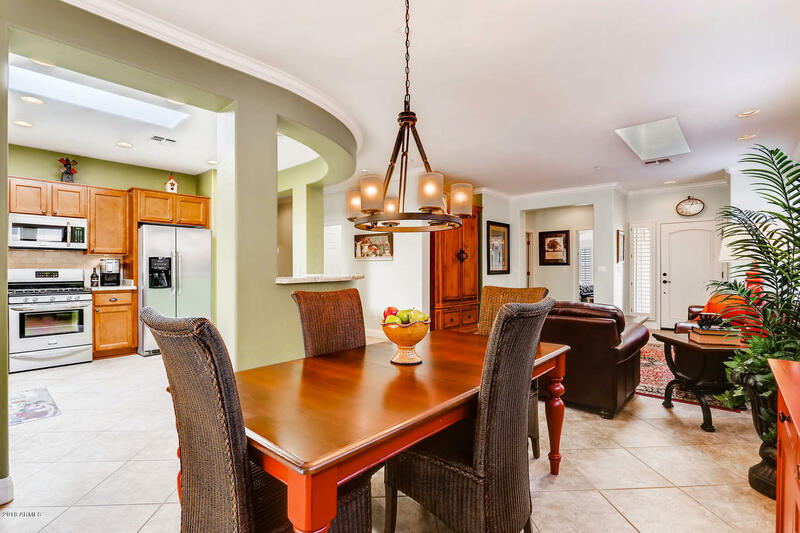 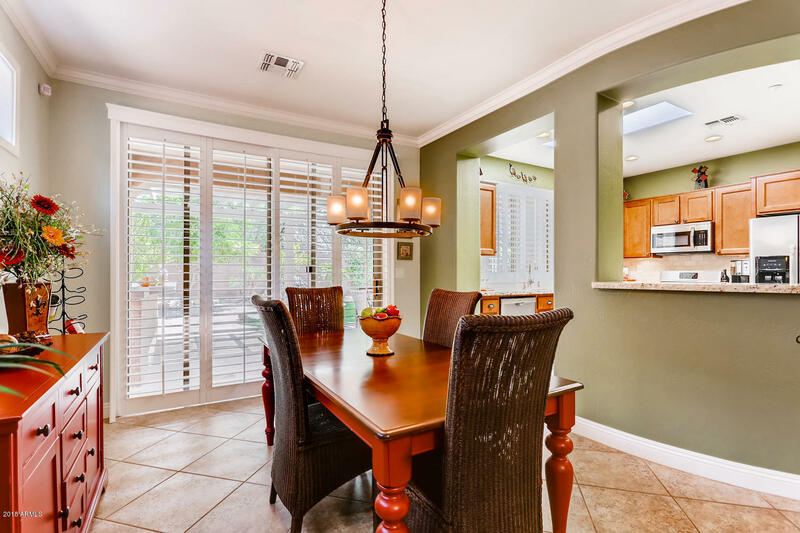 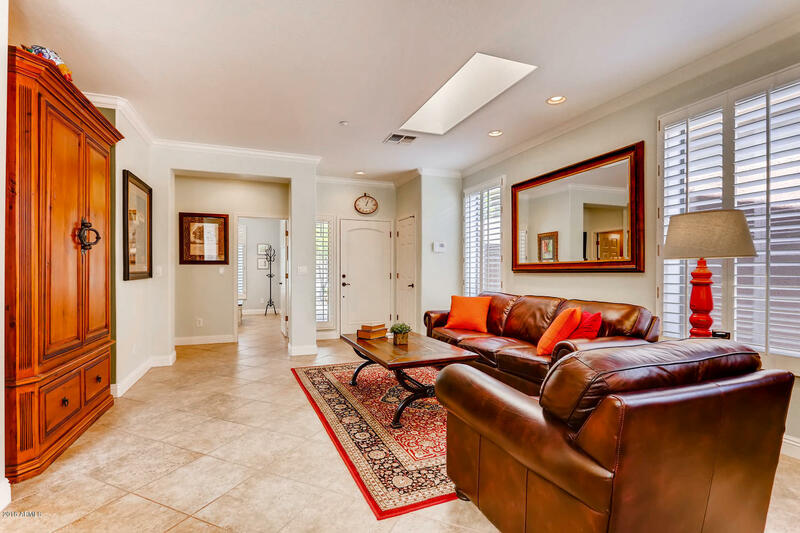 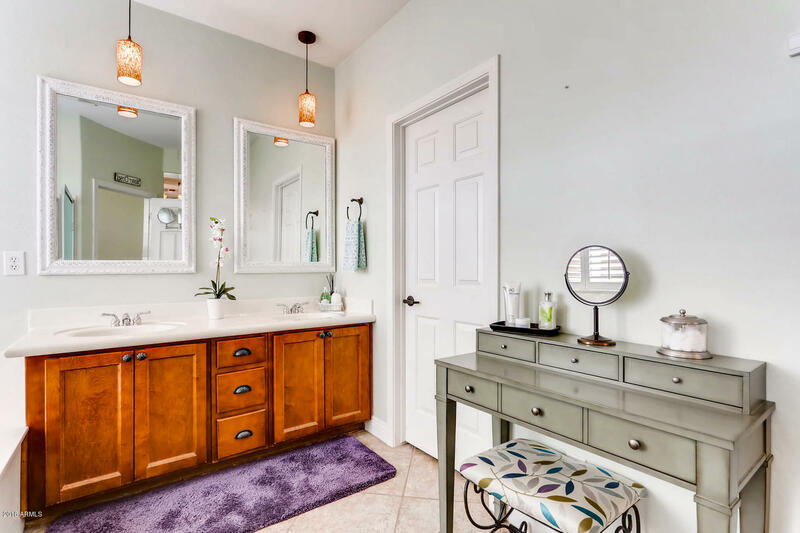 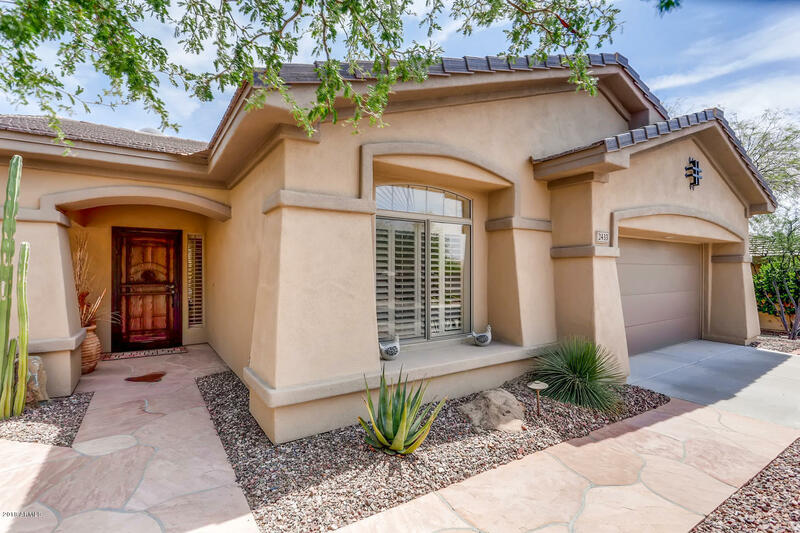 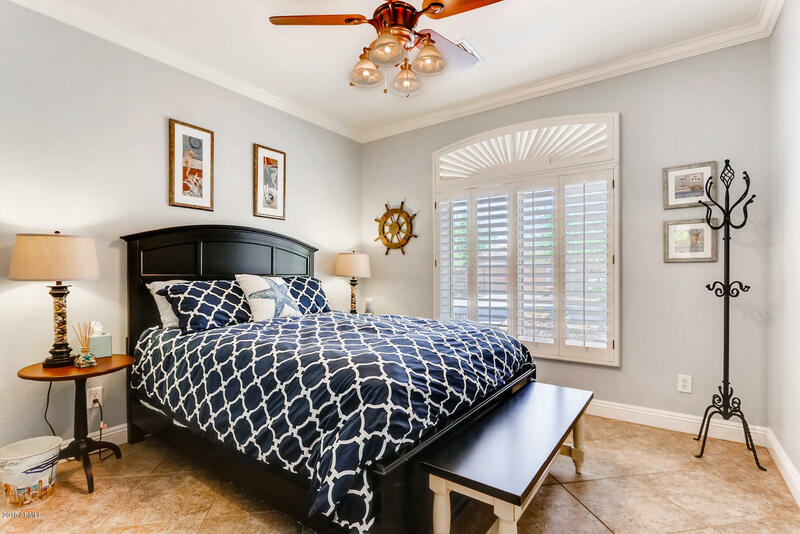 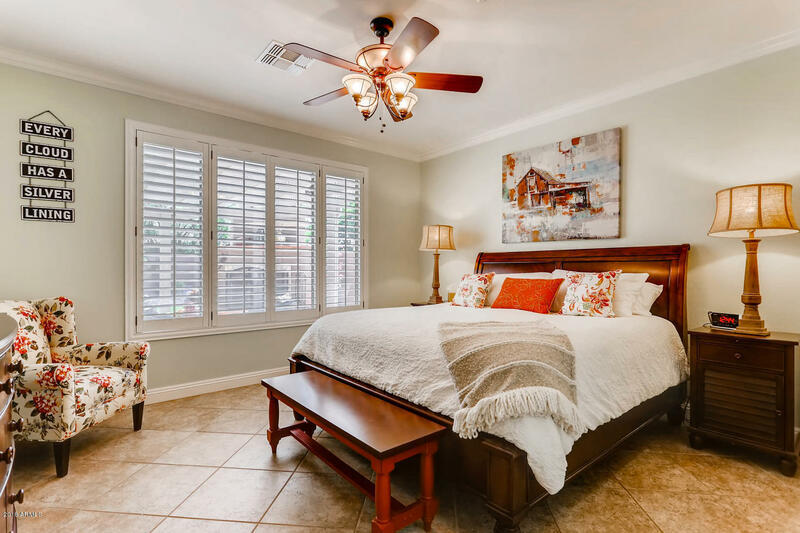 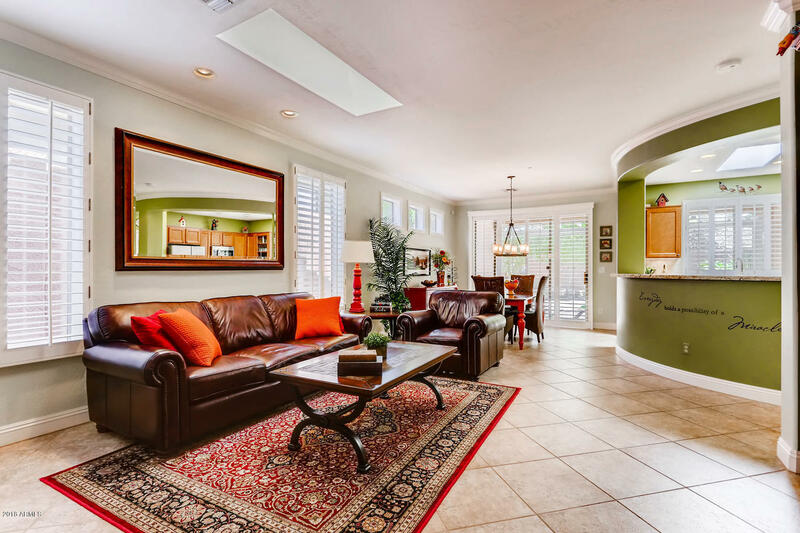 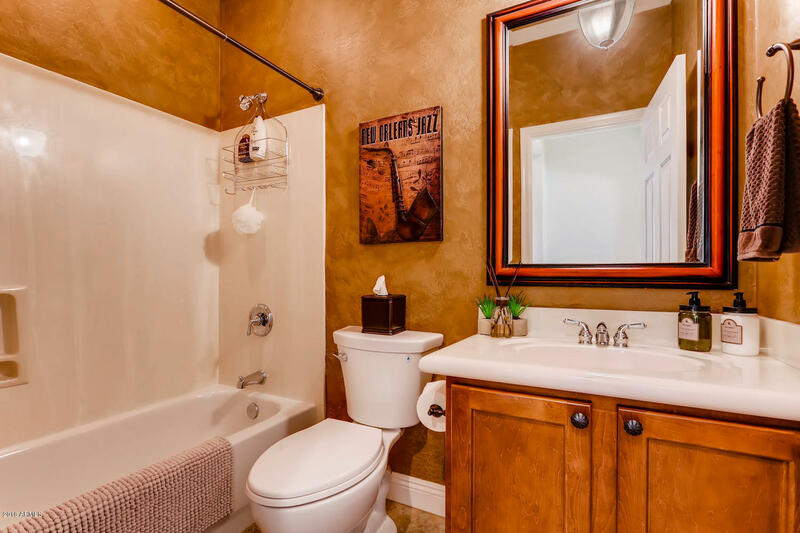 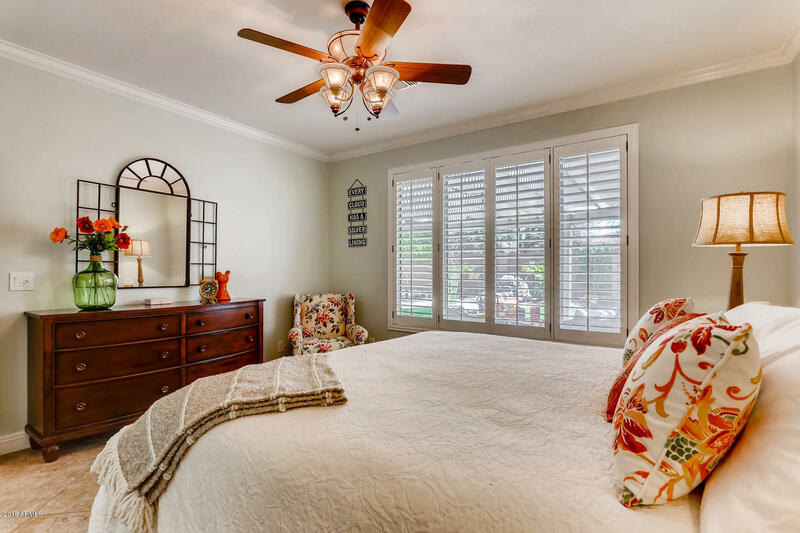 18 inch diagonal tile throughout the home, crown molding throughout, plantation shutters, epoxy floors and lots of storage cabinets in the garage. 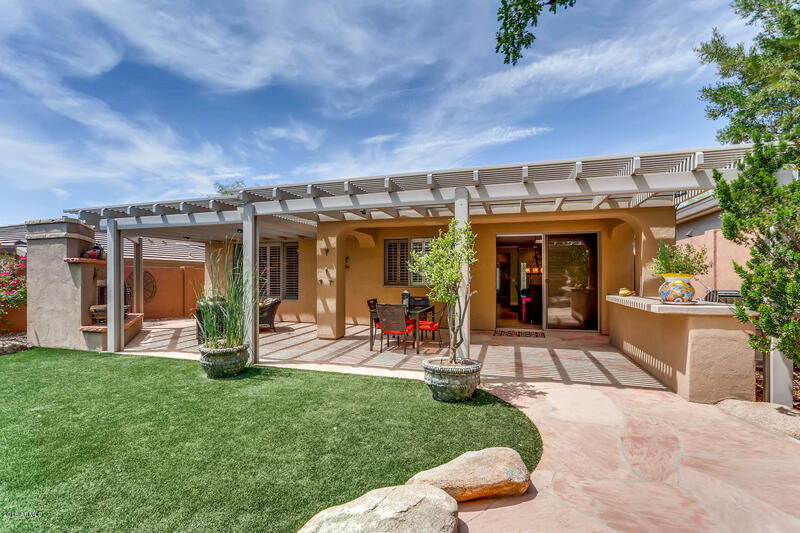 Peace of mind with guarded gated entry.